VHS was a typeface born out of an assignment to create type with found objects. My typeface was inspired by the ubiquitous blocky type of a VCR’s on-screen interface, and came in two styles of varying degradation. 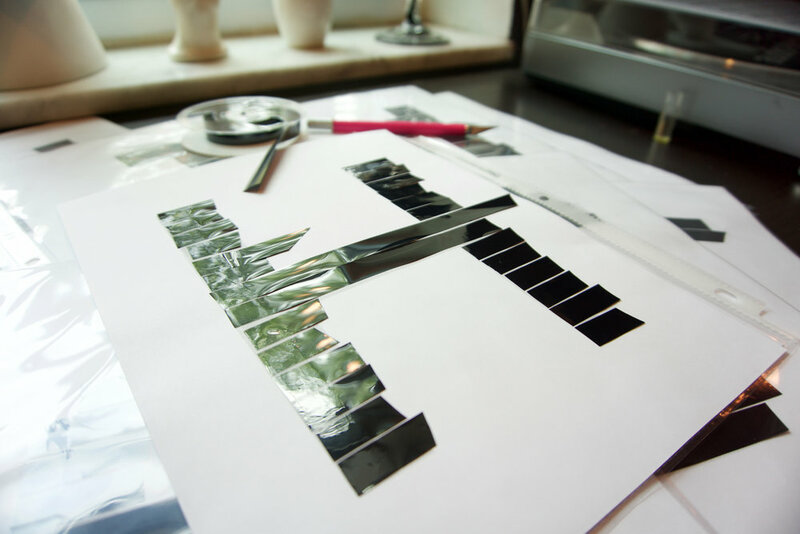 I created the letter form’s by sketching them out on paper, then slicing and gluing lengths of VHS tape in place, before photographing and isolating each letter.